Mollie King is as busy as ever. The 29-year old has added a new single to her repertoire and claims that she has virtually no time for dating. However, Mollie revealed in a recent interview that she has eyes for Taylor Swift’s ex – Calvin Harris. Why? Not his looks, but the dry sense of humor that comes across in his Snapchats. We have to admit, the two would make a great couple, especially with Mollie’s effortless cool girl vibe made obvious in one of her recent outfits. The singer was recently spotted heading to the Chiltern Firehouse to grab some dinner wearing a striking gold flare trousers. The trousers are the PrettyLittleThing “Caris” gold metallic jacquard flare trousers, which used to sell at an accessible £25. However, they have since sold out. Mollie styled the pants with a black camisole top, a choker necklace and what appears to be a pair of sandals. 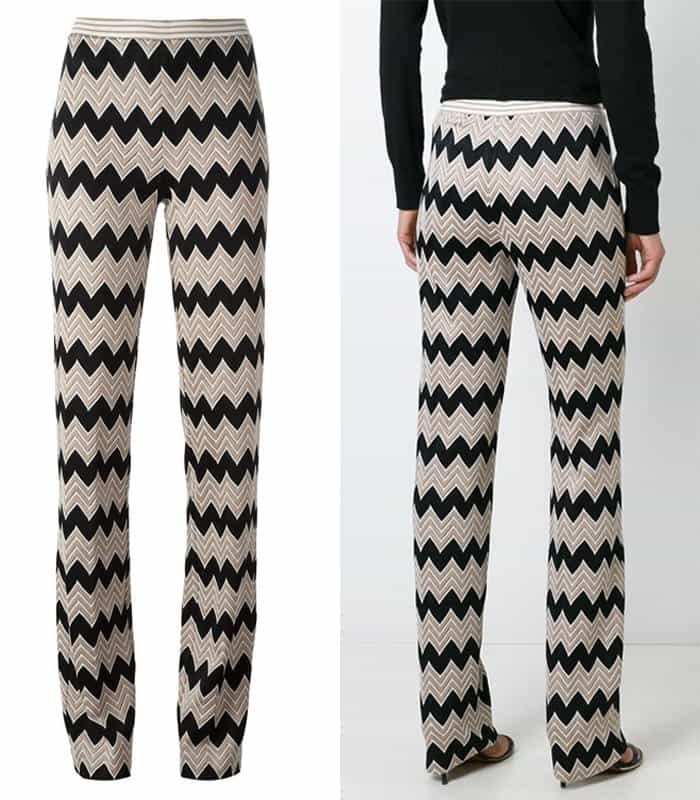 If you want to copy this look, you can try getting the following alternatives to her flare trousers. What do you think of Mollie King’s outfit? 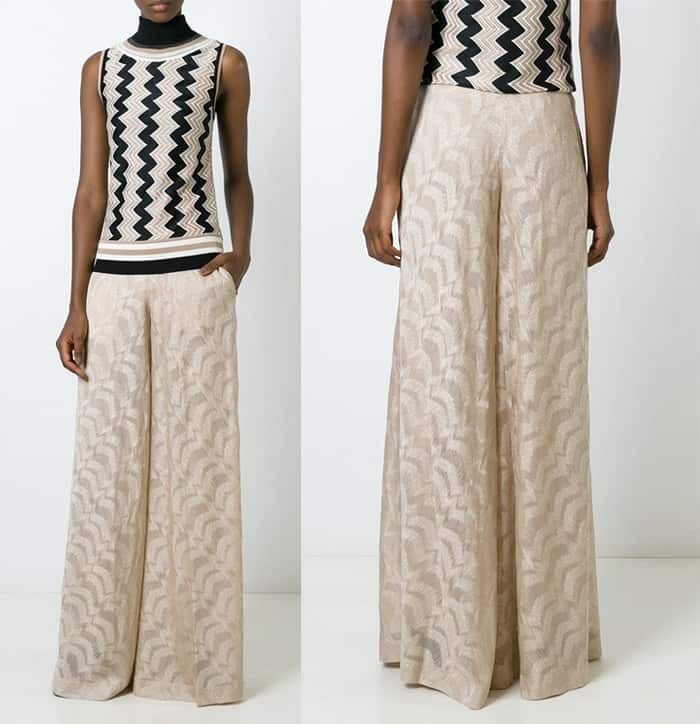 Would you make a statement in flare trousers as well?